Using out of home formats to tout recent accomplishments to the local community, University of Arizona was able to successfully reinvent its image. The University of Arizona (UA) is located in Tucson, AZ, and is 100 miles south of Phoenix, which is home to Arizona State University. UA, the state’s oldest university, and ASU, the state’s largest university, have long had an often contentious rivalry. UA has about 37,000 students while ASU tops 66,000. UA’s previous campaigns were based on the slogan “Arizona’s First University.” When officials surveyed people about the slogan, they realized the perception of UA’s slogan was, “We’re old.” The goal was to change the mind set from an “old” to a “world-class” university. The University of Arizona wanted to reach the Phoenix market and get away from the previous impression of “we’re old.” Instead, UA wanted to focus on the university’s accomplishments and diversity, and send a message about what they have to offer institutionally. 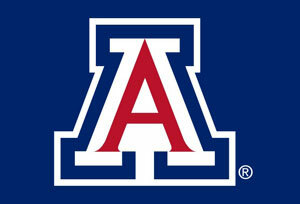 UA wanted to boost their profile in the Phoenix area among prospective students, alumni, lawmakers and supporters. The University of Arizona reached the very mobile Phoenix market by blanketing the city with billboards and LED units. The boards featured accomplishments like recent Mars and space studies, fighting world hunger, medical research and other benefits to man and the environment. The boards showed the diversification of the school’s academic fields and studies. Because of the proximity of the schools, many alumni live and work in Phoenix and the next generation of UA students become influenced by these alumni towards school choices. UA gives the feeling of going away to college but still paying in-state. The boards were strategically placed on main streets as well as freeways and about half were in a monthly rotation. The boards created big buzz in both Tucson and Phoenix and were covered in the media. The local Phoenix paper ran an article with the headline, “UA thumps its chest in ASU’s backyard.” Ironically, ASU has since begun a similar campaign about their accomplishments on billboards. UA is going to begin another run of billboards in September 2011.